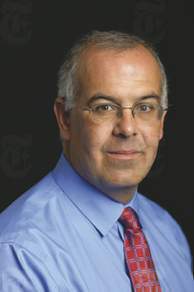 Brooks: Who is the most influential human being on earth? Who is the most influential human being on the planet? My vote goes to Vladimir Putin. Putin has established himself as one pole in the great global debate of the era, the debate between authoritarianism and democracy. He has a coherent strategy to promote his authoritarian side of that debate. He’s able to humiliate and disrupt his democratic rivals at will and get away with it. He’s become a cultural hero to populist conservatives everywhere – in France, Italy, the Philippines and the Oval Office. People are always saying that Putin is merely good at playing a weak hand. Everybody expects him to ultimately falter because Russia’s economy is so creaky. But his hand isn’t that weak. That’s because his power base is not economic; it’s cultural and ideological. As Christopher Caldwell writes in Imprimis, Putin’s international prestige starts with the story he tells. He came to power, by his telling, after Western reformers nearly destroyed his country. Teams of American economists thought that if you privatized property correctly, the law and order and social cohesion would take care of themselves. Social catastrophe followed. Russia’s average life expectancy fell below that of Bangladesh. The government went bankrupt. Members of the old communist nomenklatura plundered the nation’s resources. Successive American administrations humiliated Russia on the world stage. Putin came in and restored stability. Russian life expectancy is now 71 years, a historic high. The economy came back. Russia is a world power again, able, just last week, to flout the combined diplomatic assault of a raft of Western nations. After Putin’s 17 years in power, his domestic approval ratings hover above 80 percent. Moreover, in the years ahead, Putinist authoritarians will have several key advantages in the war of ideas. In the first place, liberal democracy is built on the idea that power should be dispersed across a system of relationships and institutions. Putin stands for the idea that authority should be centralized, with one leader at the top and iron lines of authority flowing downward. He stands for the idea that liberal democracy descends into chaos when there is no social trust, that it is a fraud that allows the well-connected to plunder everyone else. In times of anxiety and distrust, it’s much easier to argue for clear centralized authority than dispersed, amorphous authority. Second, liberal democracy’s ultimate loyalty is to an abstraction – to a constitution, a creed and a set of democratic norms. We in the democratic camp are always alarmed when we see a Putin or a Donald Trump or a Xi Jinping trashing norms to amass personal power. But authoritarianism’s ultimate loyalty is to a person. The man himself. As M. Steven Fish put it in The Journal of Democracy, “Putin is not merely Russia’s best-known, most powerful politician; he is its only politician.” Neither Putin’s followers, nor Trump’s, nor Xi Jinping’s are bothered by the trampling of norms, so long as there’s a person in charge willing to take the mantle of command. In times of anxiety and distrust, it’s much easier to rally people around a person than an abstraction. Third, liberal democracy is built on a faith, a faith in the capacities of individual citizens. Faith, as you know, is confidence in things hoped for and evidence of things not seen. We democrats put faith in the idea that people know best how to run their own lives and that these individual choices can be woven into a common fabric. Putinism, like Trumpism, is based on a cynicism. It’s based on the idea that one should have no illusions, be wise to the ways of the world. People are, as Machiavelli put it, ungrateful and deceitful, timid of danger and avid for profit. Rivalry is inevitable. Everything is partisan. Anybody or any institution that claims to be objective and above the fray is a liar. In this world, everything is public relations, and the more shameless the charade the better because people will believe whatever is in their interest to believe. In times of anxiety and distrust, it’s much easier to sell cynicism than idealism. Finally, liberal democracy is built on the idea that people who are nothing like you are still worthy of respect and attention, that politics is about striking compromises with people you can barely stand to be in the same room with. Putinism is based on the idea that people who are unlike you are sowing cultural chaos; they are undermining your way of life. Putin is continually railing against gays, Muslims, atheists, the “infertile and genderless” West. In times of anxiety and distrust, it’s a lot easier to sell us/them distinctions than tolerance for cultural diversity. In short, never underestimate this man or his cause. All over the world political regimes are adjusting, becoming either a little more authoritarian or a little more democratic. Right now, the momentum is clearly in the authoritarian direction. That’s in part because that side has a brilliant and reckless figure at its head. It’s also because when you pause to ask who is the global leader of the liberal democratic camp, you come up with no name at all.